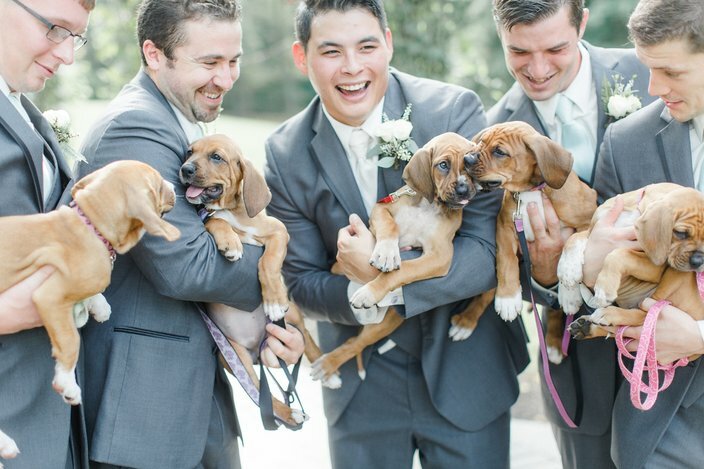 Matt and Sarah Crain, of Pennsylvania, used puppies instead of flowers for their wedding bouquets. Remember how weird Philly weddings have gotten lately? Well, they're getting weird all over the state, apparently. At least this time, however, it's for a good cause. 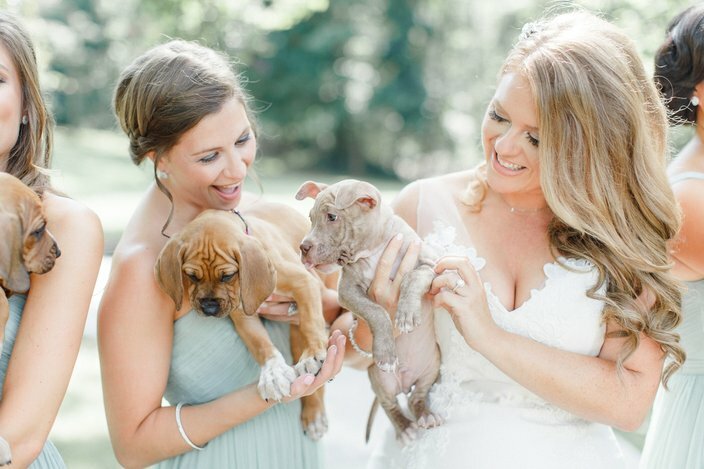 Matt and Sarah Crain, of Pennsylvania, got married in Elizabethtown, Lancaster County, on Friday, and instead of flowers for the wedding bouquets, they used puppies. Yes: Living, breathing, tiny dogs. Using puppies wasn't just for novelty, however. According to news stories about the couple's wedding, Sarah is an animal activist and works for several rescue organizations. 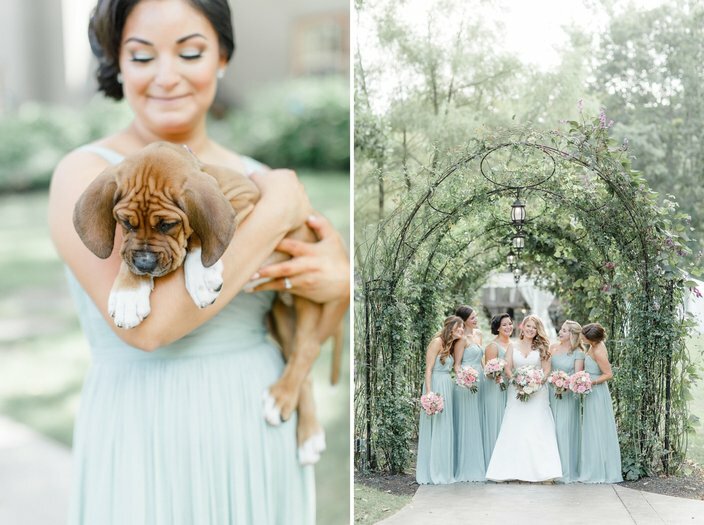 She used the pups to raise awareness about shelter dogs. The puppies come from a nonprofit Crain works for in Central Pennsylvania called Pitties Love Peace. 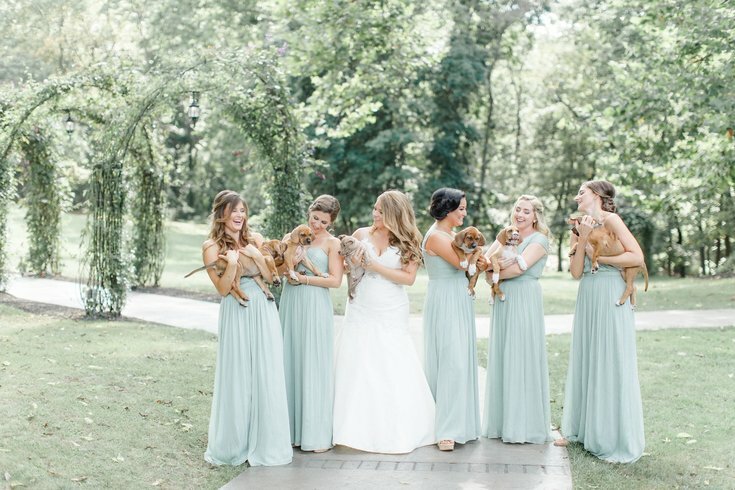 The five being held by the bridesmaids are named after the first ladies of the United States: Martha, Abigail, Dolley, Elizabeth and Louisa. 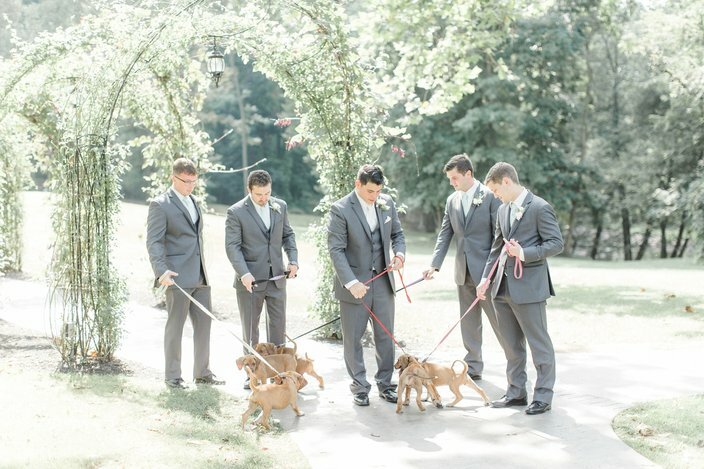 The pit bull held by the bride is a rescue from Brooklyn named Biggie Smalls. You can learn more about adopting the dogs in the photos here, and you can view the rest of the puppy photos here.